Get a team to seal your bathroom tiles all around. Wet sealing is the application of a water proof membrane on surfaces that are likely to gather a lot of water. Tiles do not come with this sealing so it is vital to get them sealed to avoid water damage. Opting for tiles that absorb water readily is a good idea. This will go a long way to prevent water damage. Check out our blog on tiles to find out more about what tiles are good for using in a bathroom. Water damage can be caused by an array of different reasons like clogged toilets, broken pipes, broken dishwasher hoses, overflowing washing machines etc. but the most common reason is leaks. Check for leaks regularly and fix the as soon as you possibly can. 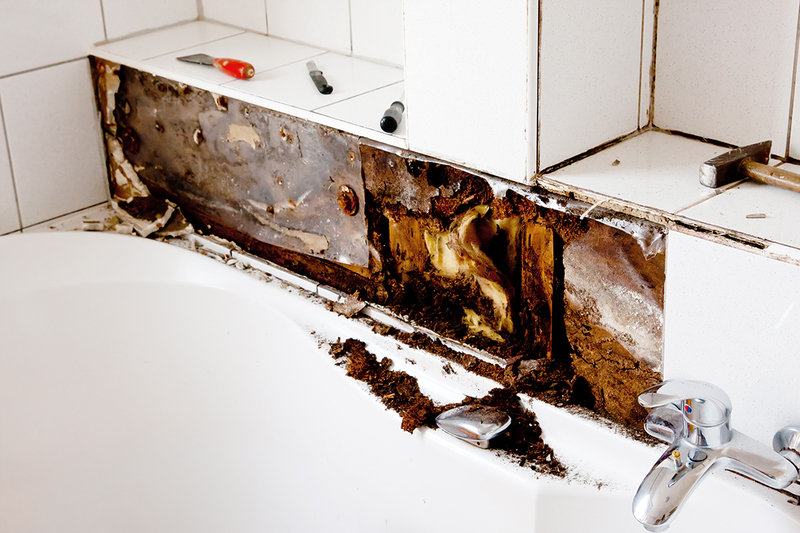 Ensure your bathroom has good drainage. That means making sure that the water has somewhere go so it doesn’t collect below tiles or behind walls. Keep your drains unclogged and clean. Having taken all of that into account, it might be a good idea to call MTB Carpentry and Construction to get started on your bathroom renovation. We have tons of experience working on the Gold Coast and we’ll be glad to help you out!